Ein weiteres Team aus den USA hat eine neue Bleibe gefunden, nachdem man sich zuletzt von der alten Organisation getrennt hat. Hierbei geht es um das ehemalige Lineup von Fenix GG, welche nun zu Method gewechselt sind. Diese Organisation ist vorallem durch ihr Auftreten sowie ihre Erfolge in World of Warcraft bekannt und geht nun einen weiteren Schritt, in dem sie ein CS:GO-Team verpflichten. Neben der WoW-Guilde beherbergt die Organisation ebenso ein Team in Hearthstone, nun folgt das erste Team in Counter-Strike: Global Offensive. Entschieden hat man sich für das ehemalige Lineup von Fenix GG, welche erst Anfang Mai 2015 ihre Organisation verlassen haben. Aktiv spielt das Team derzeit in der ESL ESEA Pro League, bei der es in der ersten Season um 500.000 USD Preisgeld geht, der CEVO Pro League sowie der RGN Pro Series, welche in Kürze startet. 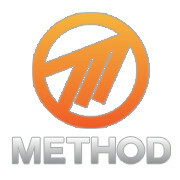 The team and I are very excited to announce joining the Method family. Being the first CS:GO team to represent this amazing organization is a special opporunity and we will work hard to meet and exceed expectations. I would like to thank everyone who has supported us thus far and continue to support us. We have finally found a home and now can just focus on becoming the best team we can be. Expect big things from Method CS:GO! I'm very excited to be part of Method's CS:GO division. Paradox is a great addition to the organization. They proved to have incredible potential and I'm looking forward to see them grow as a team.